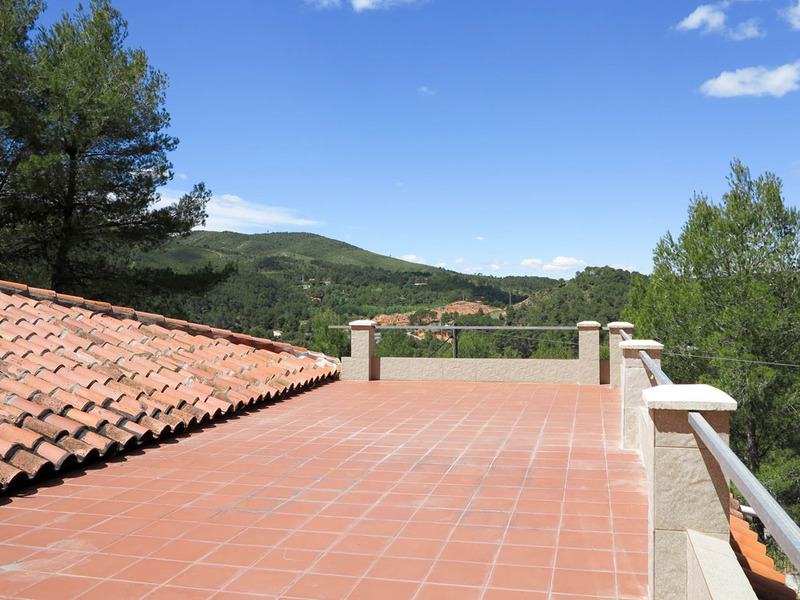 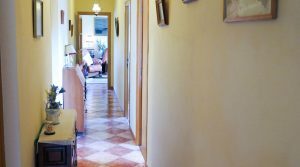 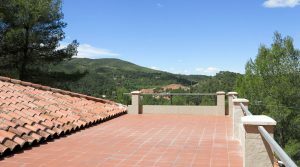 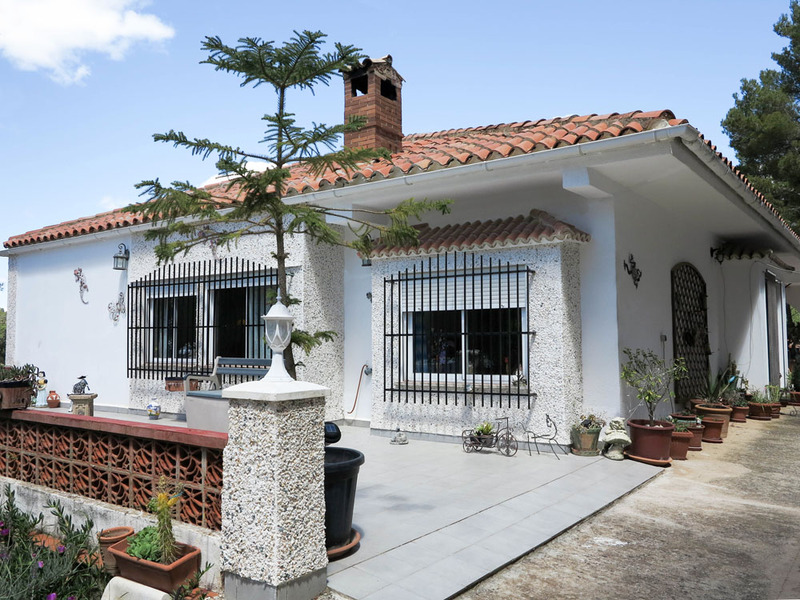 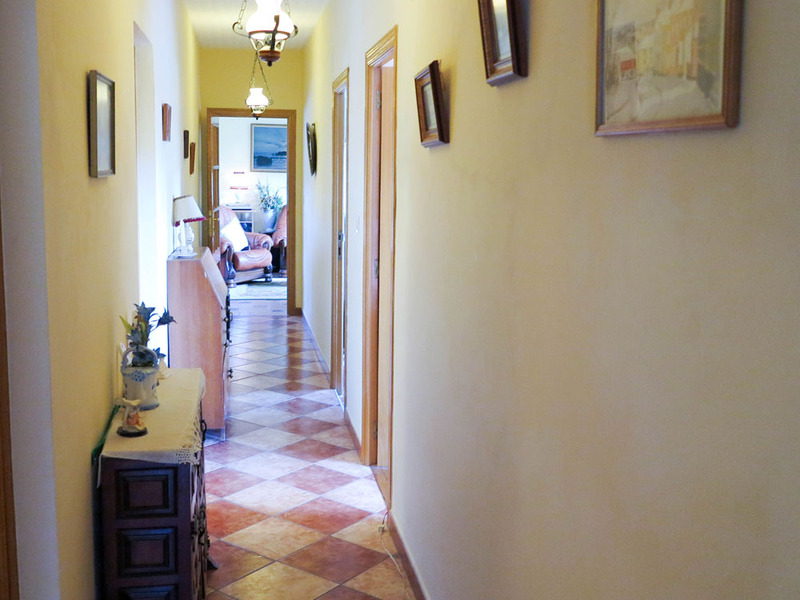 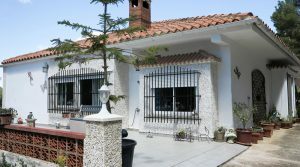 One of our large, country villas for sale Valencia, in Venta Mina (near the larger town of Buñol). 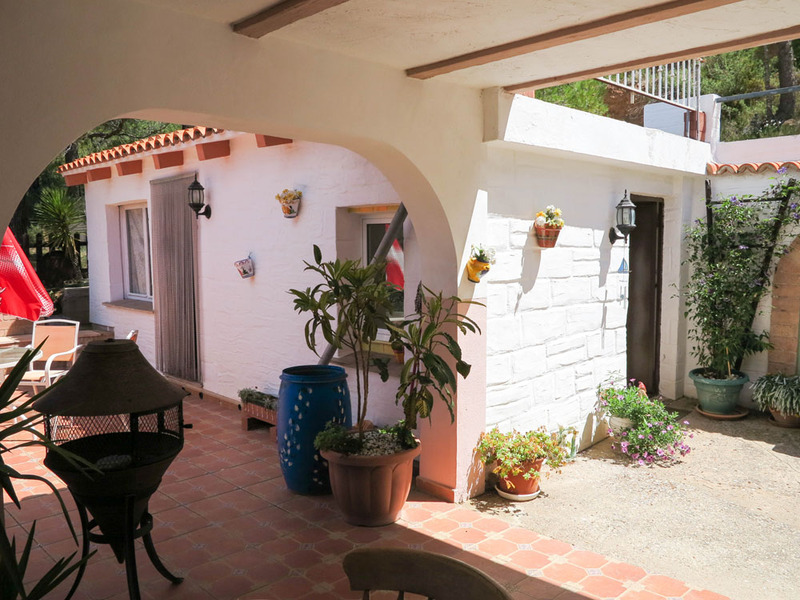 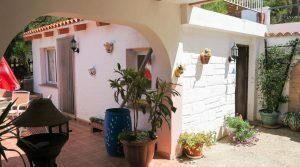 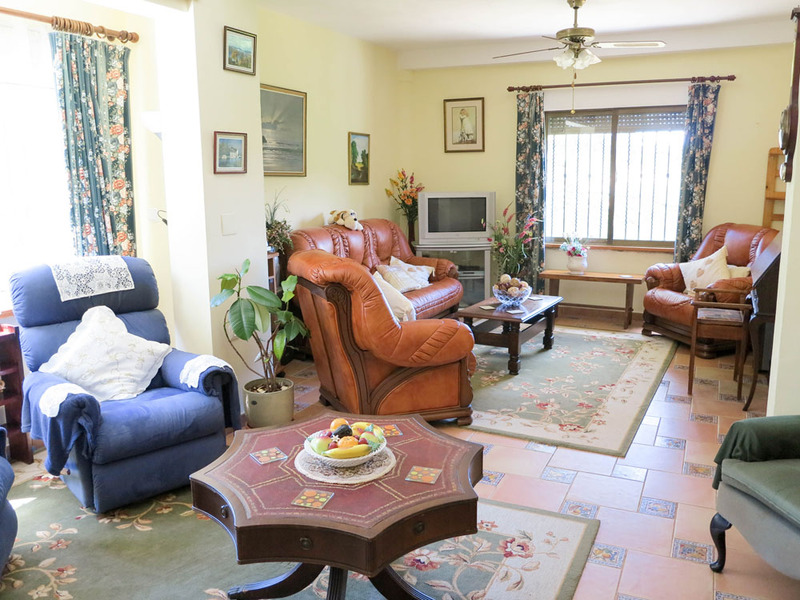 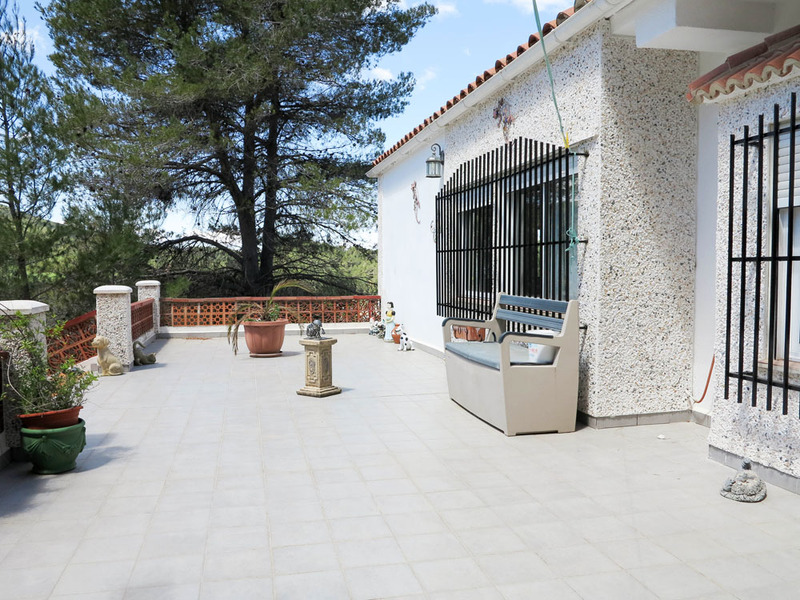 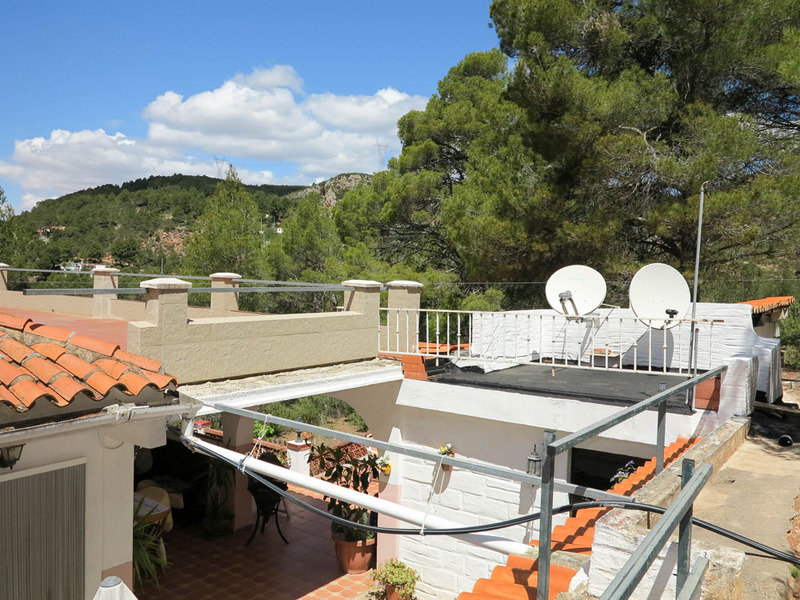 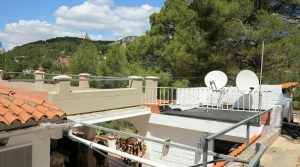 The villa enjoys an elevated position with lovely views and it is less than a 10-minute walk from the small railway station of Venta Mina, giving you direct access to Valencia city centre. 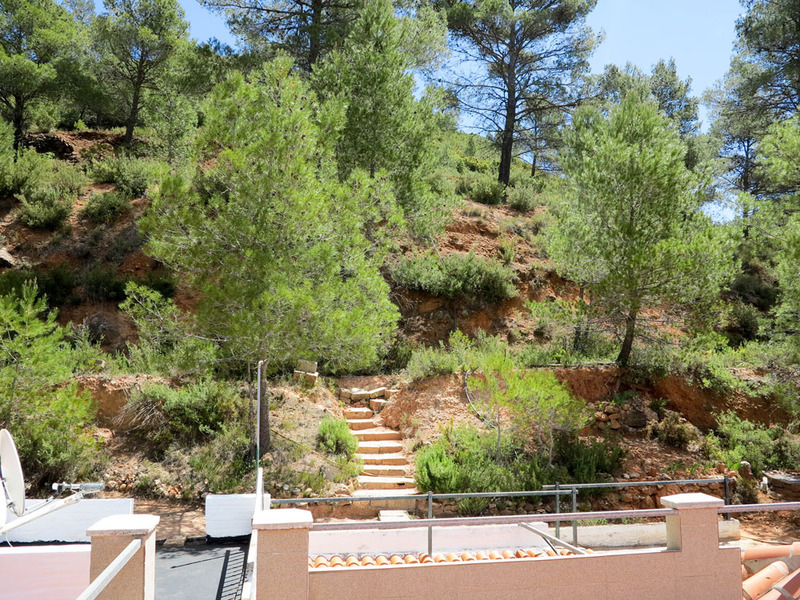 You have a private driveway from within your grounds taking you up to the front of the villa. 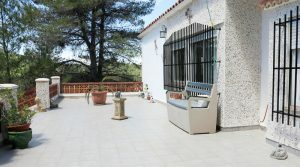 There is an open and also a covered terrace at the entrance on either side of the villa. 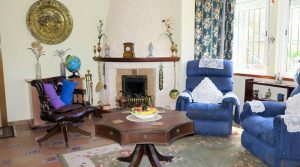 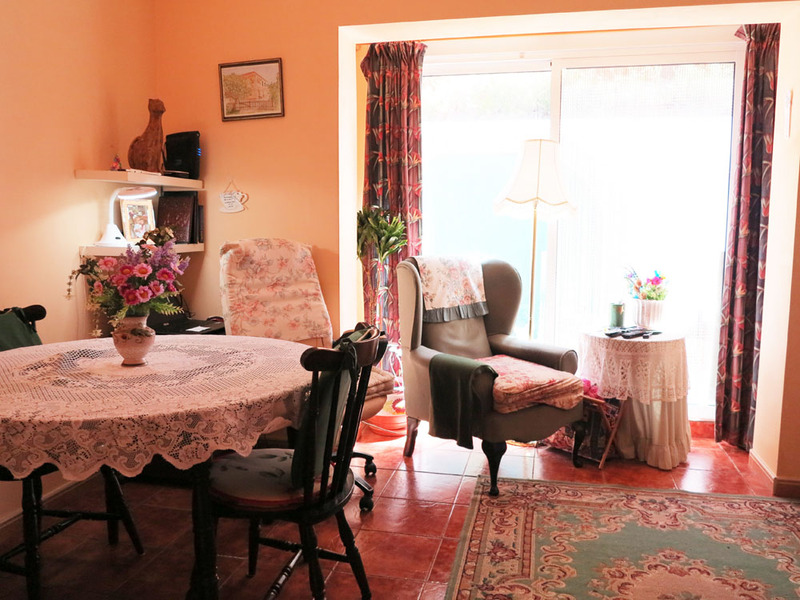 The villa has a spacious lounge with separate dining area and a chimney fireplace. 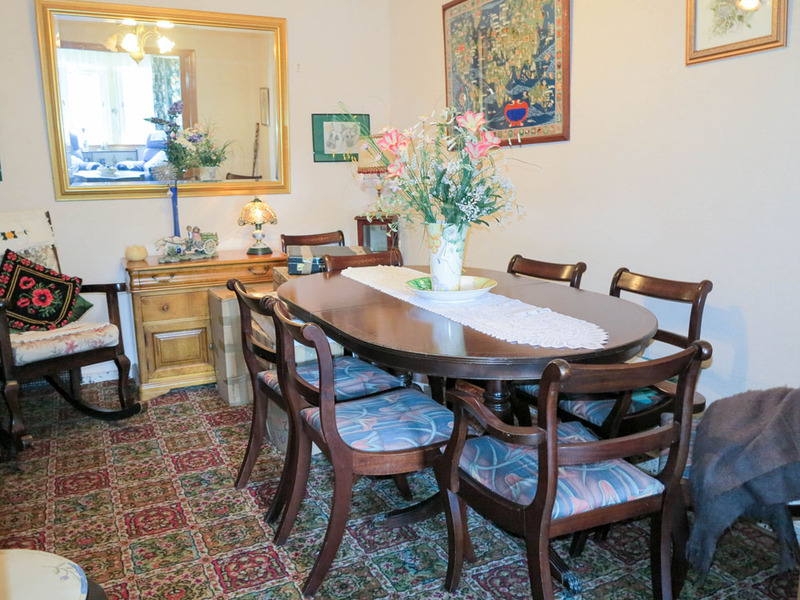 There is also a second sitting room down the passageway towards the fully fitted kitchen. 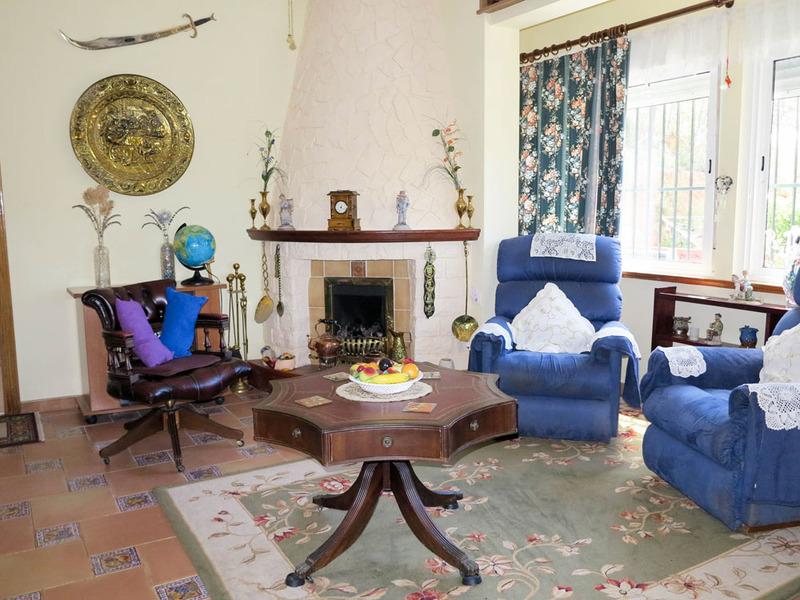 This sitting room has patio doors taking you out to a side terrace. 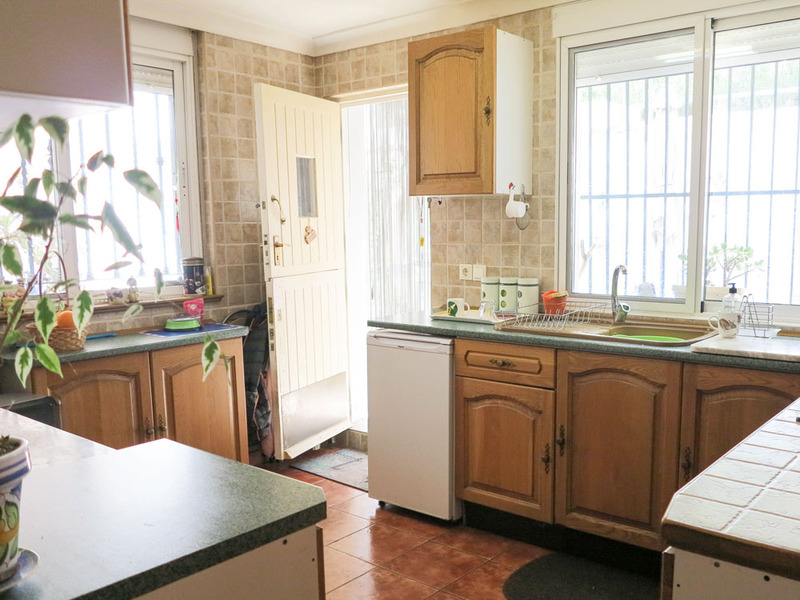 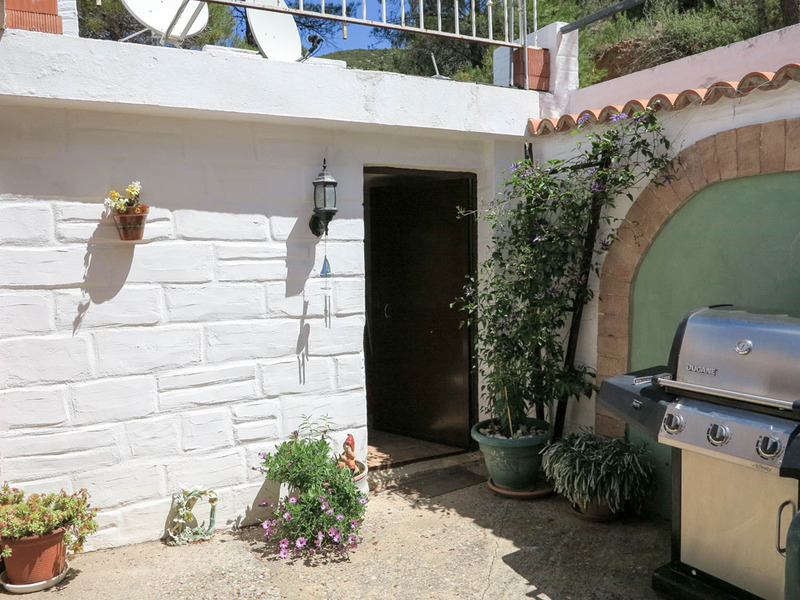 The kitchen has a door taking you out to the side covered terrace and barbecue area. 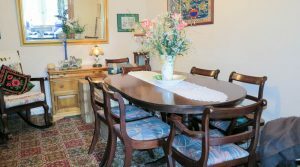 Adjacent to the kitchen there is a study room. 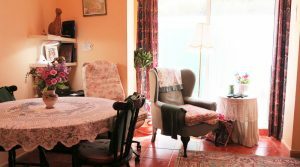 This study room could easily be knocked through to the kitchen so as to create a large kitchen diner if you desired. 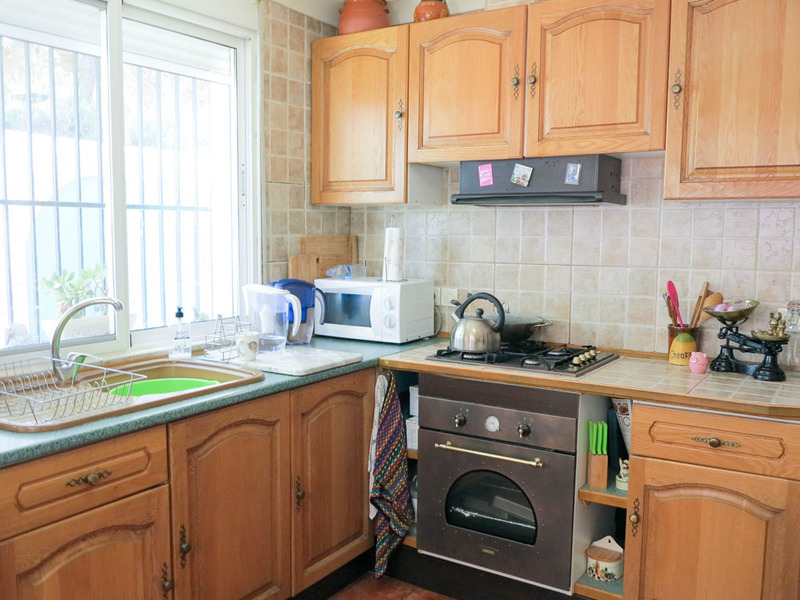 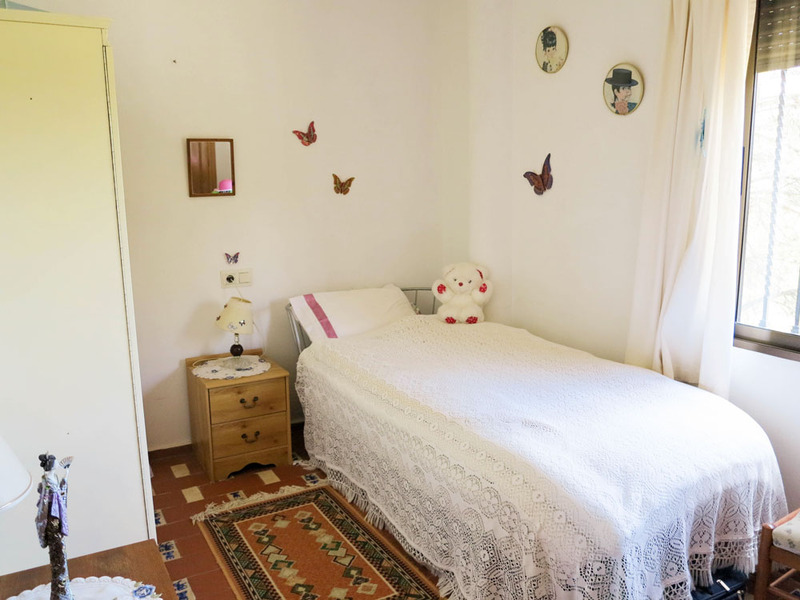 There are three bathrooms in the villa and four double bedrooms each with fitted wardrobes. 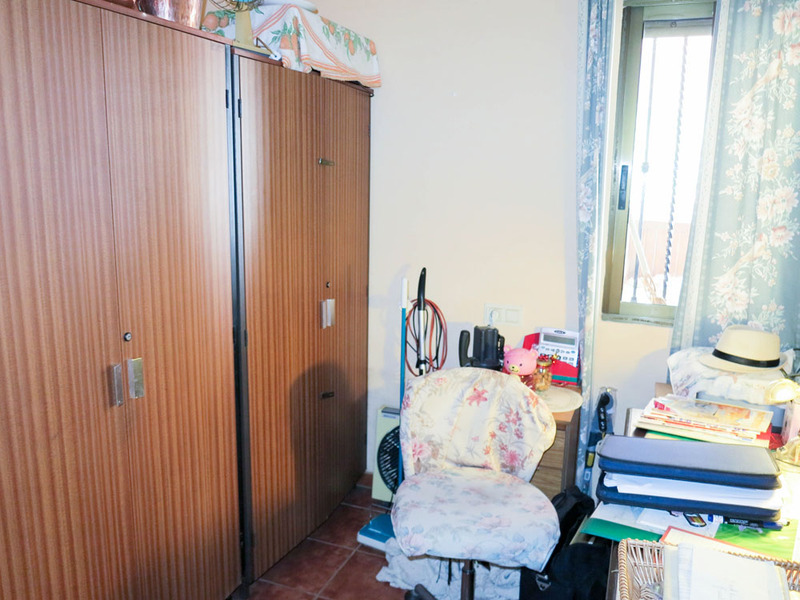 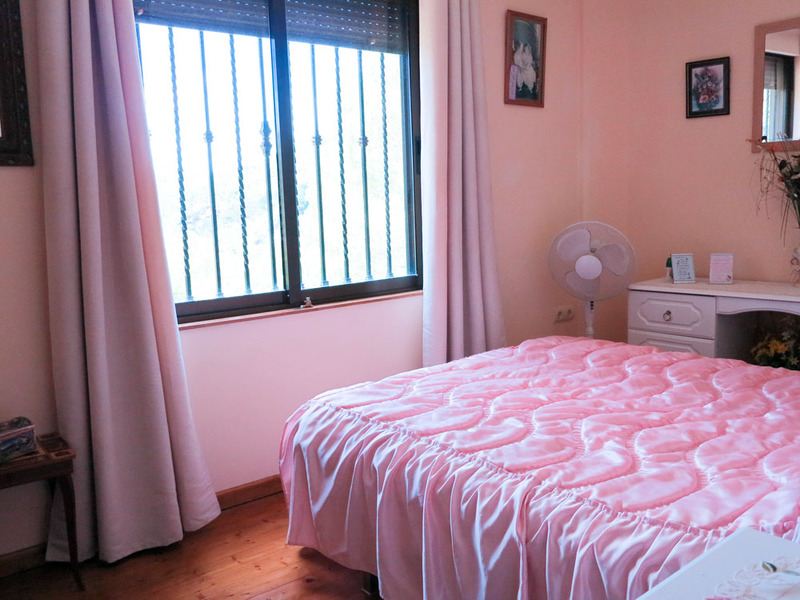 The master bedroom has an electric radiator and its own private balcony terrace with patio doors to access it. 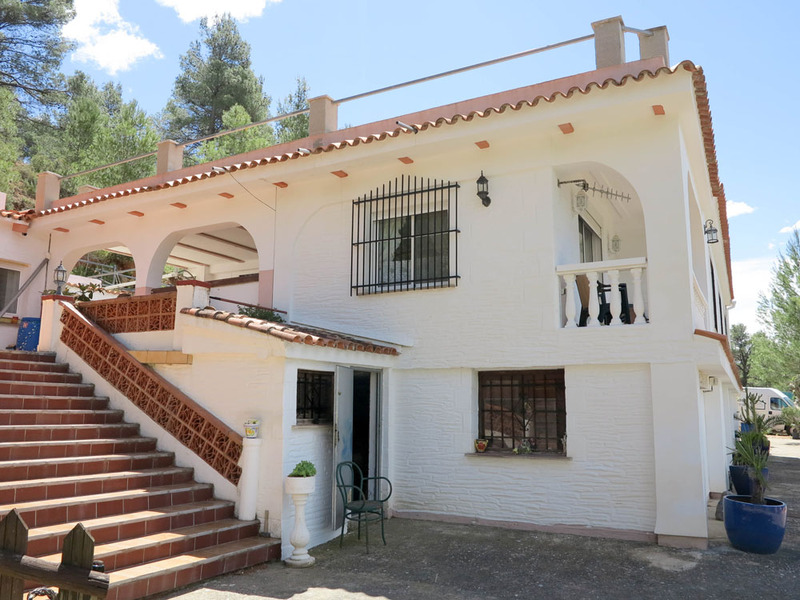 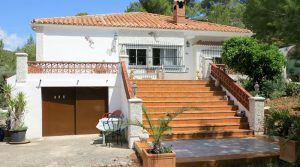 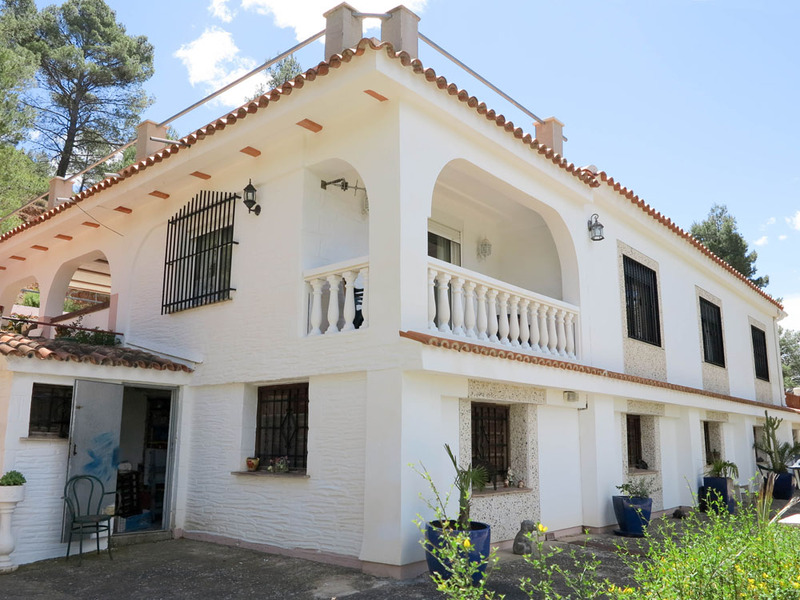 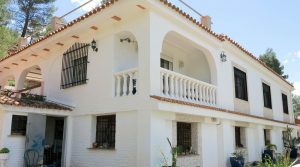 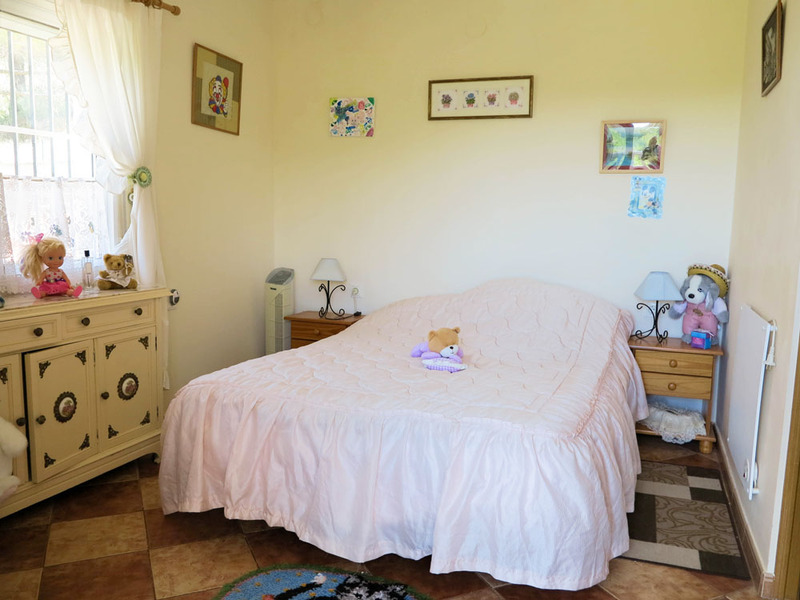 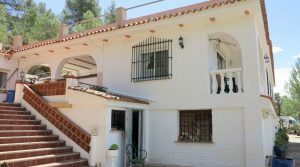 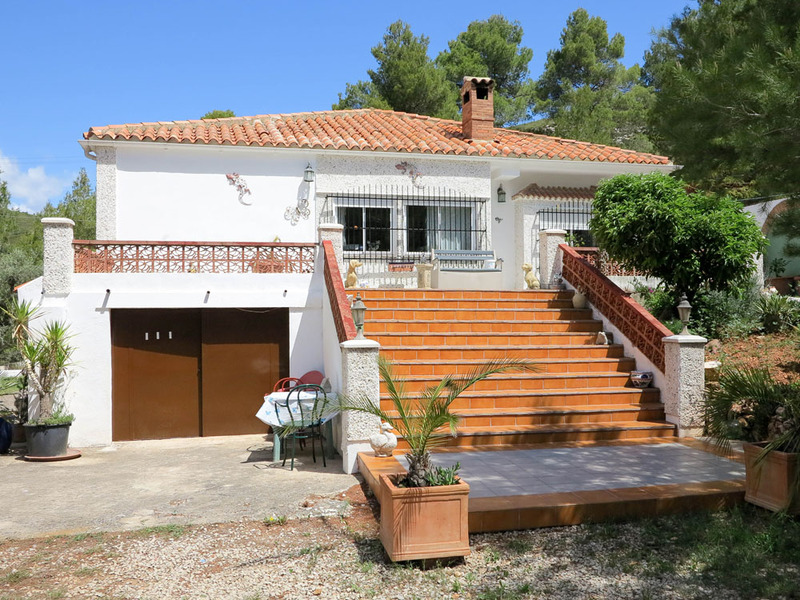 The entire property has good quality double glazed windows fitted throughout, ensuring that you do not get any background noise in the villa from the A3 motorway nearby. 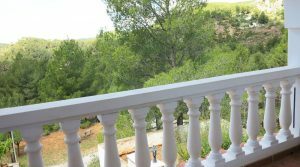 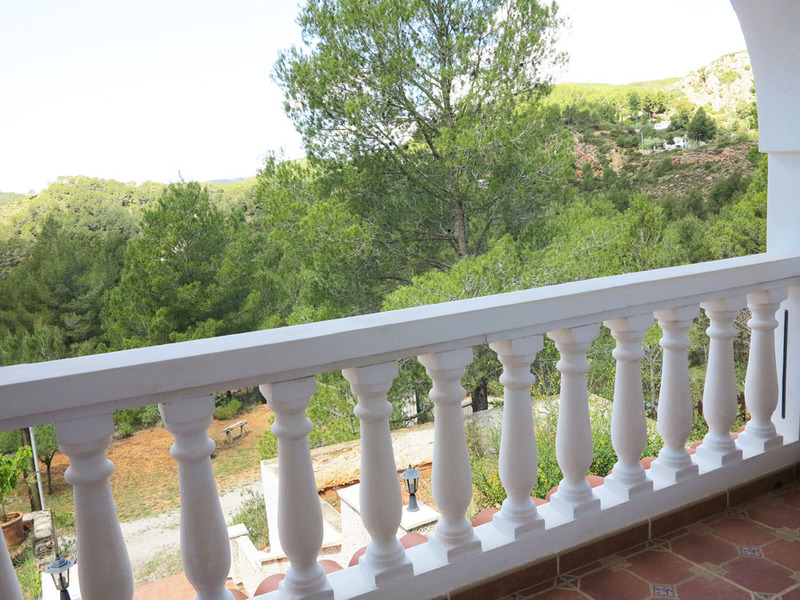 At the rear of the villa, there is a staircase taking you up to a secure roof terrace on top of the villa. 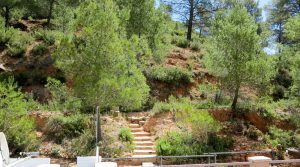 Then there is another staircase and pathways taking you up the hill passing various terraces of your own private land. 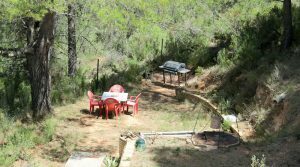 At the top of the hill, you have spectacular views and there is also one of your main water deposit tanks that you have for the property. 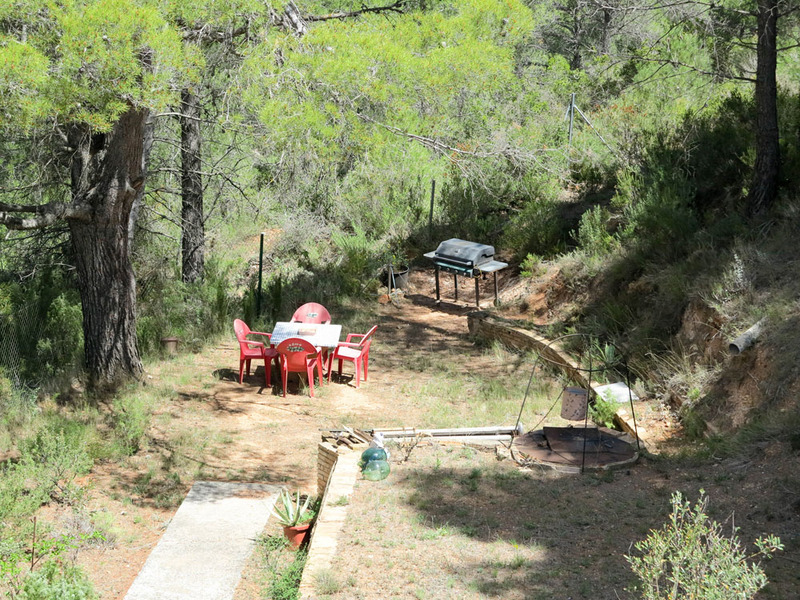 This property has its own water supply and an abundant supply of water comes from the three wells privately owned by this property. 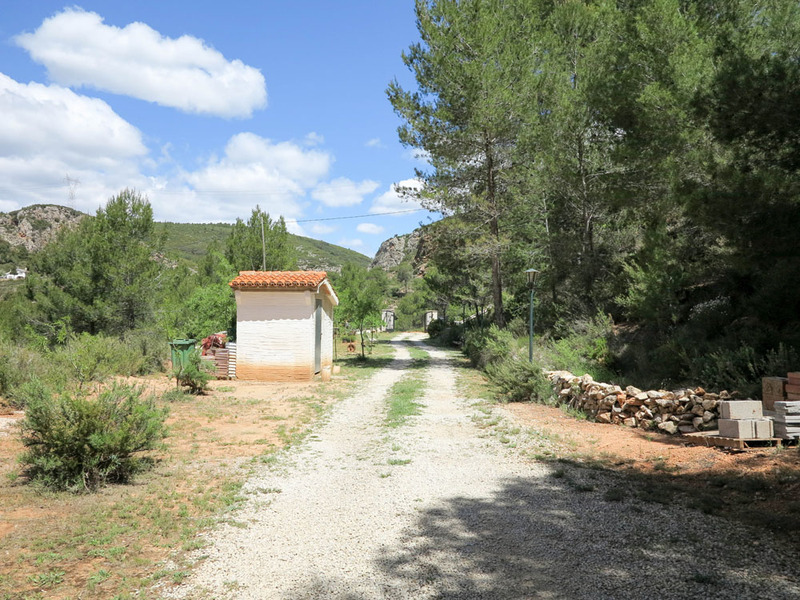 The wells have their own pumping stations and the water is feed to the deposit tanks. 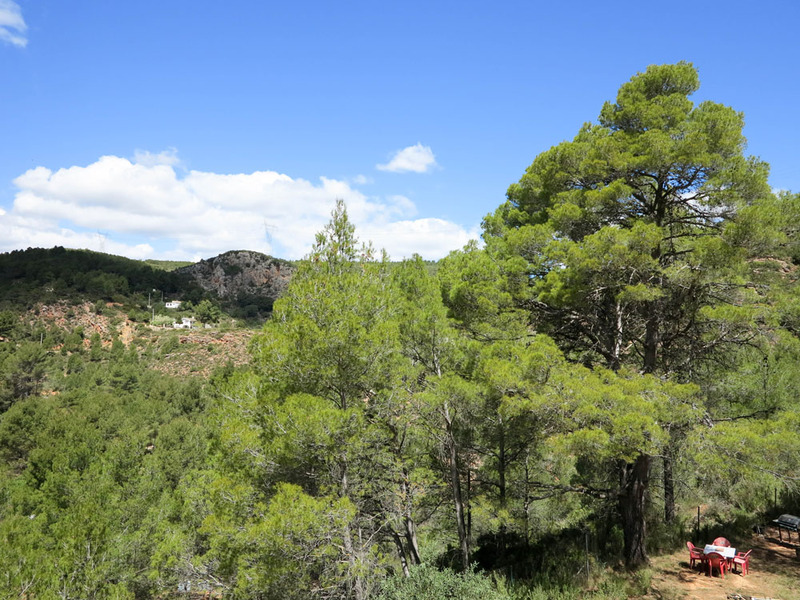 The deepest well this property owns is over 100m deep, ensuring fresh water. 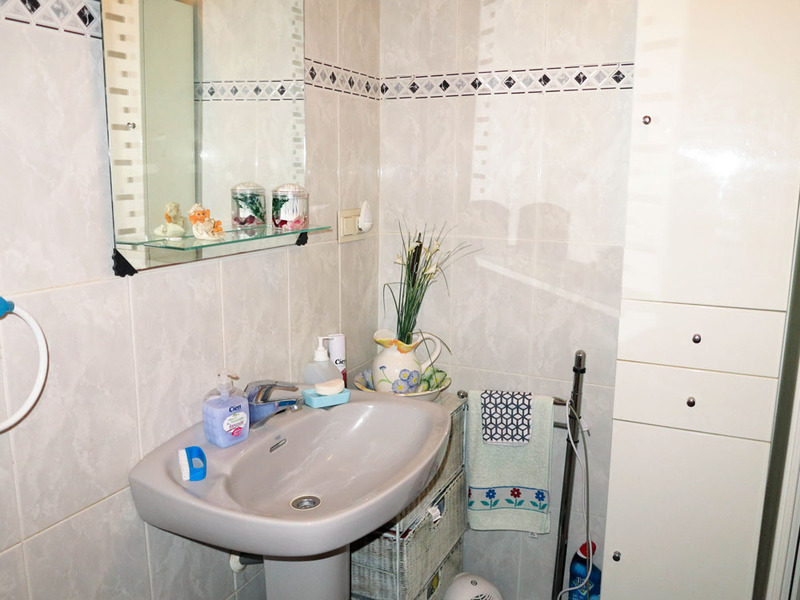 Therefore you have no water costs at this property at all which is an excellent feature. 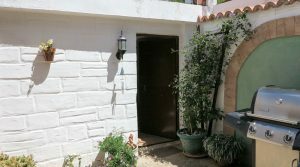 In the underbuild area of the villa, you have a warren of rooms, there are five separate storerooms and a hallway accessing each. 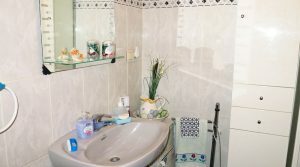 Then you have a downstairs bathroom which has been pre-installed with the plumbing but which would still need to be finished with the tiling and installation of furniture. 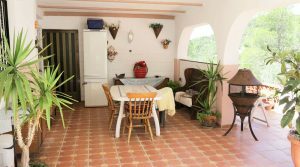 At the rear of the villa across from the covered terrace outside the kitchen, there is a separate utility room and a storeroom next to it. 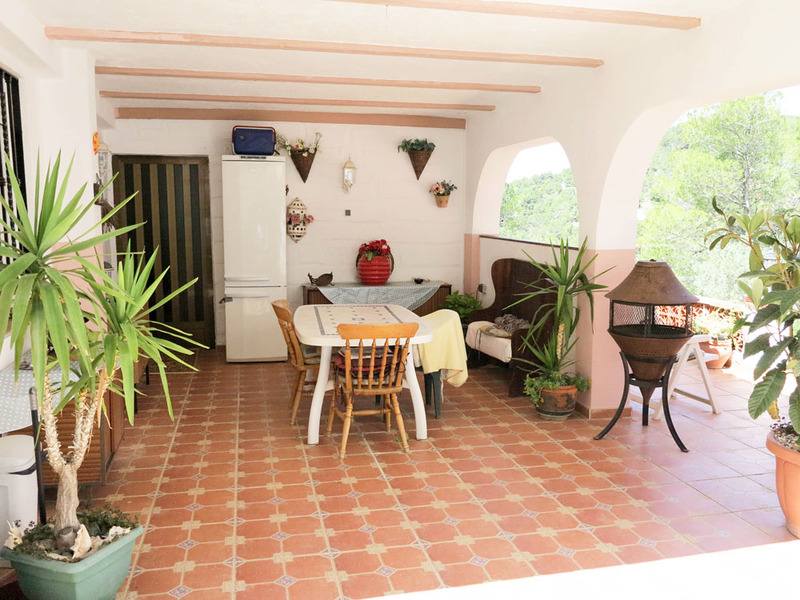 Each of these rooms has tiled floors and with the water and electricity connected., together with a large open terrace in front. 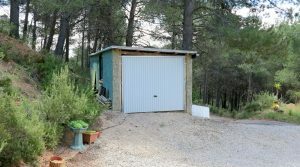 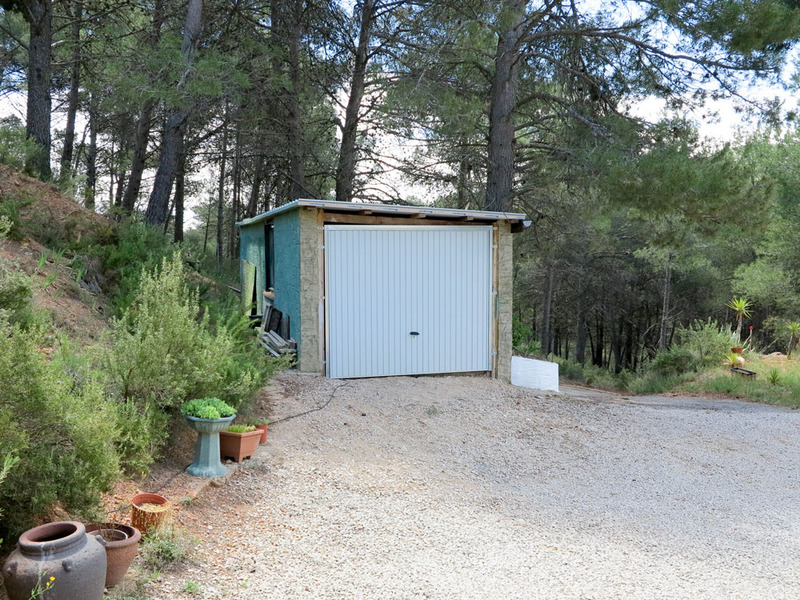 Then halfway down the driveway, you have a 33m² building used as a garage. 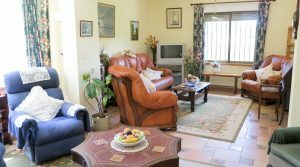 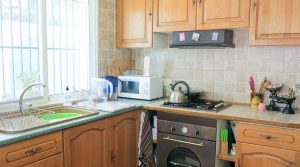 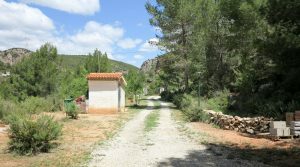 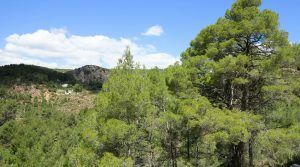 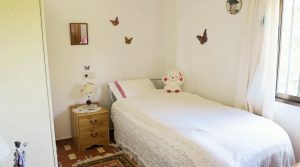 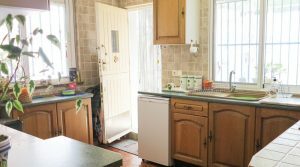 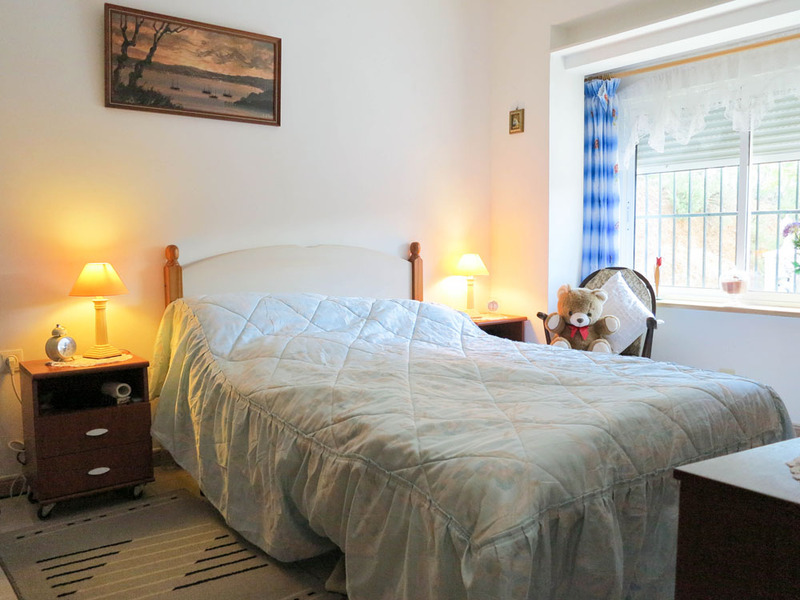 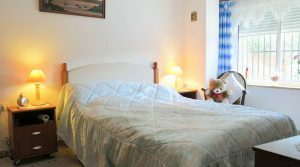 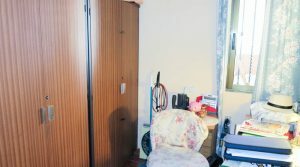 The property has Sky satellite television connected and broadband internet is available.